Yes, you read this right. This is about buying a house in a sellers’ market. This is because, believe it or not, there are cities where houses are a seller’s market. If you live in one of these cities and find a house that pleases you and fits your budget, there are things you need to do to successfully buy it. How can this be a seller’s market? There are a number of factors at work here. What it basically boils down to is that in some areas, there are not enough homes and too many buyers. Why are there so few homes? A lot of homeowners–especially those living in what are usually called “starter homes”–underwater. They owe much more on their homes than the homes are now worth. As a result, many of these people have decided to just stay put until the market comes back. Housing prices are also still depressed in many markets so their homeowners would rather stay where they are than sell their homes for less than they think they’re worth. 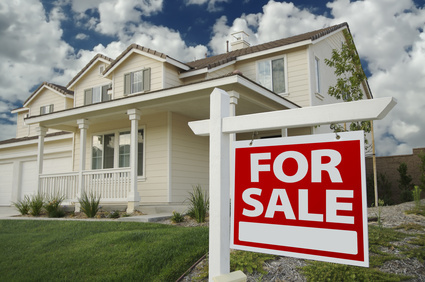 As an example of all this, in June of this year the number of homes for sale across the US dropped 24%, which has led to some very tough competition among buyers. If you’re looking for a sign as to what’s happened in your city and how much it may have tipped in favor of the sellers, look at the percentage of homes where their list prices have been cut or if there has been an increased ratio of sales to asking prices. In other words, the more homes that are selling at their asking prices, the more competitive the market. The first step is to check to see if there is a bidding war going on. If prices are rising that’s a sure sign that the sellers are more in control. Second, get a bank behind you. You don’t want to be merely prequalified. This is because if there are multiple offers, many real estate brokers will simply toss out offers where the prospective buyers are only prequalified. It’s much better to get preapproved based on your income, credit and assets. And what’s best is to get full credit approval through your bank’s underwriting department. That alone could put you at the head of the line if there are multiple offers on that house you want to buy. Another important element in getting the house you want is to get a veteran real estate broker to help you. Try to find one who specializes in working with buyers and who knows pricing trends and the local players. Just as important, your real estate broker should have experience in multiple offer situations. He or she should be up on houses that have closed recently and their sales prices vs. asking prices. A good agent will be able to tell you if the house is priced fairly and what you will need to offer for it. When you do make an offer, make sure that it’s clean. Your offer should be as straightforward as possible. In most cases, you won’t win if you make a contingency offer–that is one that’s contingent on the sale of your present home. If you have a home you need to sell in order to buy the new home, you might talk to your bank about a bridge loan so you could offer cash for the home you want to buy. If you are competing in a sellers market, here is what you need to succeed. You should have your bank behind you and be pre-approved. You need a veteran real estate broker who knows the market and is experienced in multiple offer situations. And last but not least, you need to be able to offer a straight deal with no contingencies. If you can do these things, you have a better than average chance of getting that dream house.